Canadians are becoming ever-more mindful of their health and fitness. If you’ve been having too many late-night trips to your favourite fast food drive-thru or noshing on chips during your latest Netflix binge, maybe it’s time to rethink what you’re putting into your body. A study by a Canadian research team found that cayenne actually works to suppress your appetite. You don’t have to overload your food for it to be helpful, either. Just a pinch will do. Cayenne is loaded with capsaicin, which helps to put your metabolism into high gear, turning food into energy. This frisky spice goes great with meat and grilled fish, and is particularly tasty on eggs. Not all foods containing carbohydrates keep your body clinging to fat. 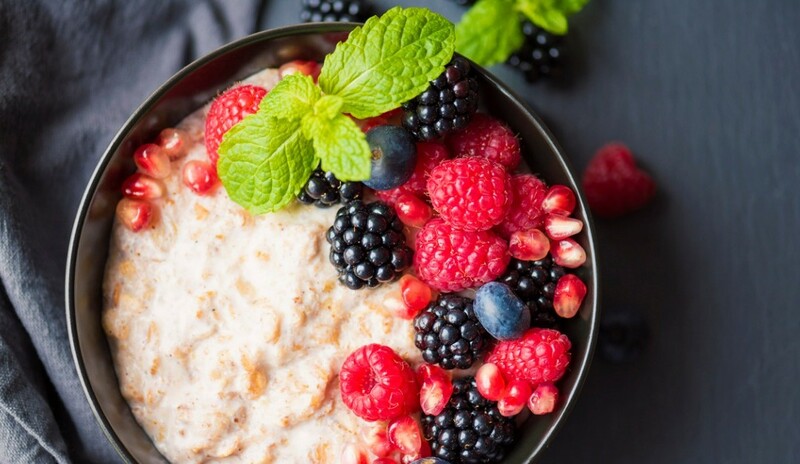 Steel cut oats are the best whole grain carbs that keep you full longer because they’re high in fiber and take longer for your system to burn. A recent study regarding how your metabolism works found that people who ate grapefruit for about six weeks dropped an inch from their waists. The tart, slightly bitter flesh apparently helps brown fat cells to burn calories and to break down fat. Also, grapefruit is full of phytochemicals, which has been shown to help produce adiponectin, body fat’s arch nemesis. As far as nuts go when it comes to fat busting, almonds are king. If you want to lose weight—particularly off your legs and tummy—eating about a quarter cup of almonds every day will allegedly do the trick. Acidic foods are known to help the body burn carbs. Apple cider vinegar reportedly produces proteins which help to eat fat, as well as help to keep your blood sugar stable. If you believe every savoury dish tastes better with garlic, you’re in luck, because garlic is also a fat burner. Studies show that garlic stops fat from building up in your blood. Garlic also supposedly helps your body to metabolize sugar more effectively. This spice not only gives a delicious flavour to many things, it’s also packed full of antioxidants, which help to keep blood sugar stable, preventing you from getting hungry sooner after a meal. Plus, it tastes great on other fat-busting foods like oatmeal.